Same here, except for the part that BD can actually find any in the stores. I love beef ribs. bigred wrote: anyone around know where to buy good meaty beef ribs anywhere around the Austin area? Go to any HEB, talk to the butcher and ask for cryo-packed beef ribs. When I did, he came out with 2 racks of 4 ribs in one package. They didn't look like what I was expecting, but I told him I'll take em, how much? He had to go look them up in his notebook. They don't sell them like that, the meat department cuts them up and sells the ribs as other cuts. I paid $10 or $12 for the package. When I put them on the pit, after about 3 hours at 225 degrees, the meat pulled from the bone and bunched up at one end of the bone. 2 ribs is more than I can eat. hear in the center of the known bbq universe beef ribs is mighty rare stumbled into the evil empire to pick up stuff for the wifey unexscorted (she knows better) cruised by the meat dept. 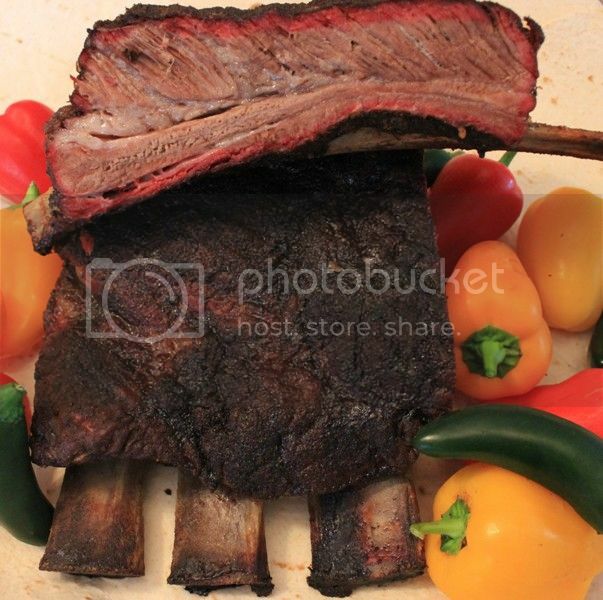 to check on brisket prices ugh holley guacamoly dip there they where choice grade beef ribs can`t wate to smoke them bad boy`s this is a rare find !!!!! LANG 60,BUD,AND A WHOLE PILE OF WORNOUT CHARGRILLER HORZ life is good sharp knifes,fire,and meat . Go to a traditional meat market and ask for flanken ribs. 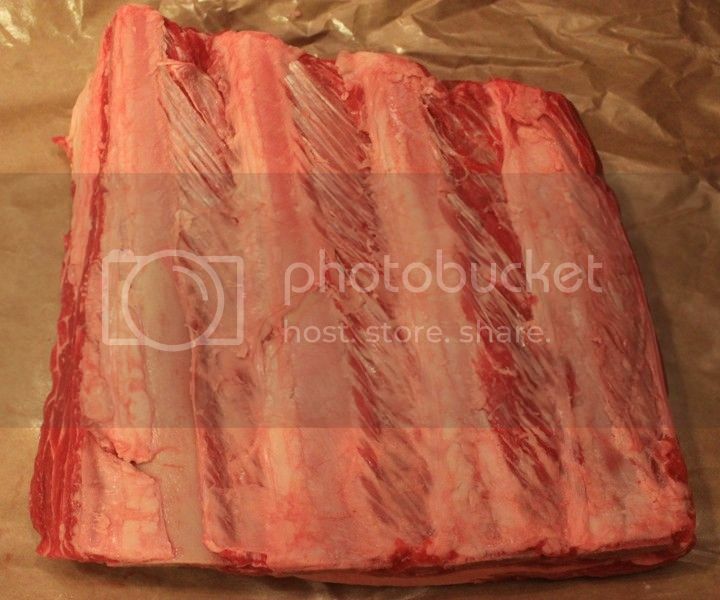 Flanken ribs are cross cut to make short ribs which is what you normally find in chain grocers. 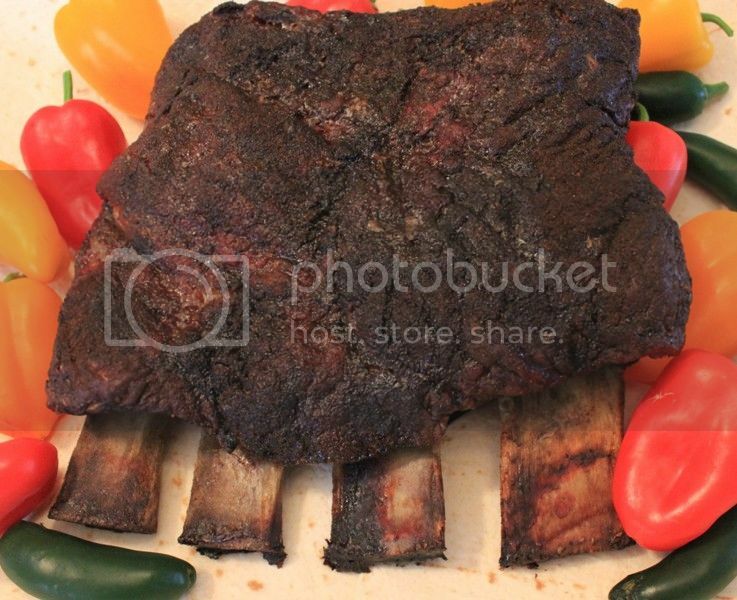 Great looking Beef Ribs EH !!! Good beef ribs are pricey, and hard to find. I made friends with the local butcher, and he will get them for me as I need. He also knows that I eat beef sausages, so he makes them a few times a year. same here, all bone, no meat. ask for Plate Short Ribs and get ready to shell some dolleros. cant go wrong but you can go broke!